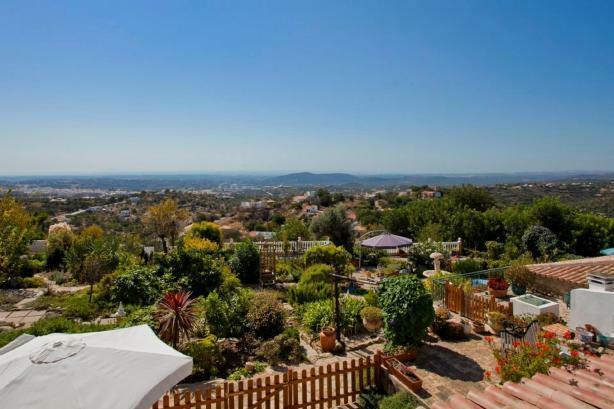 The Orange Cottage is located high on a hilltop, 1200 feet above sea level overlooking the market town of Loule in the Central Algarve and offering the most amazing of views. This cottage sleeps a maximum of 4 adults + 1 infant in a cot and is a real home from home property, with many little extras to make your stay that extra bit special. We are pleased to offer a generous welcome hamper to all guests staying 7 nights or more, but should guests require we offer a continental breakfast hamper for you to be able to enjoy your breakfast in your accommodation or on your terrace at your leisure, you are on holiday, there are no timetables! For 2019 we will also offer a meat breakfast hamper for those wishing to have a full English breakfast. We also offer a traditional Portuguese evening meal option once a week, a great way to finish off your day in the sun. 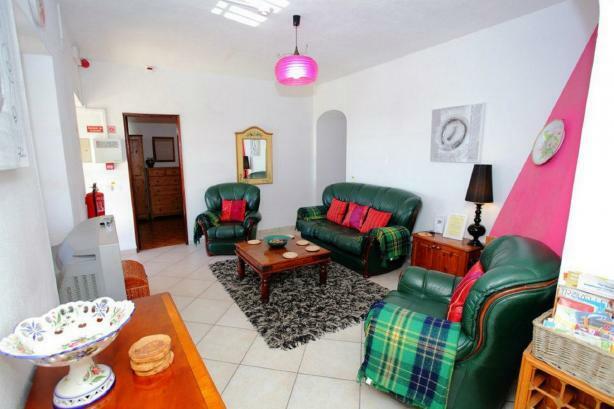 The owners of the property live on site and are fluent in English in Portuguese, with a knowledge of French and Spanish too. The Orange Cottage has a bus stop close by which takes you into Loule town and in the opposite direction into the Algarvian hills. From Loule bus station, there are buses to the whole of the Algarve and also to Lisbon too. There is also a bus service from Loule bus station to Loule train station. We are lucky to have an English speaking taxi driver who has been looking after our guests for over 16 years, but we are also lucky to be able to offer the Uber service to our guests too. We highly recommend guests hire a car for a stay with us, should guests not wish to drive from the airport, we can arrange for an airport transfer to the accommodation and then arrange for your hire car to be delivered. 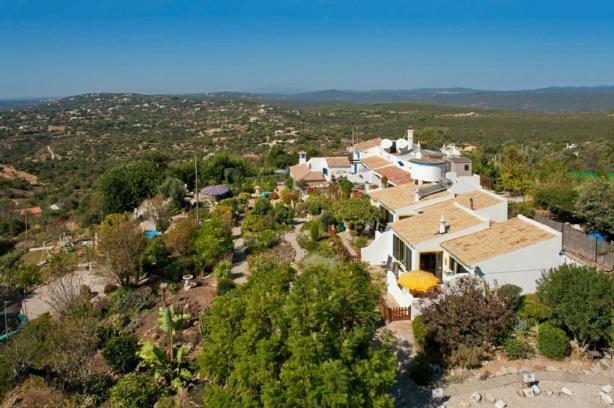 The Orange Cottage is one of four cottages available for holiday let at The Quintassential and we occupy over an acre of hilltop (3350 metres) giving us over 60 kms of panoramic sea views and of the Algarve valleys and hills. In order for all our guests to have a truly peace and tranquil holiday, we do not accept group bookings. We have an optional breakfast service, continental breakfast hamper and new for 2019, a meat breakfast hamper. We also offer a traditional 3 course Portuguese evening meal option with wine once a week. The Quintassential offers a laundry service for a small additional charge. Pool towels are provided, but should guests wish to hire beach towels, this is an additional extra. Due to our location, the local area lends itself to bird watching, walking, cycling, surfing and much more. We offer bird watching tours, self guided walking tours and can arrange bicycles during your stay. 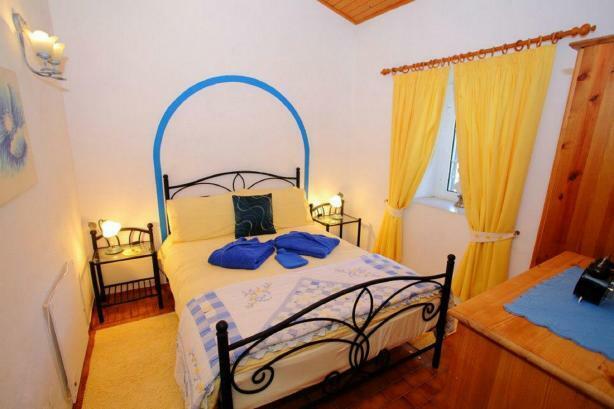 Prices are for 7 nights self catering for up to 4 adults + 1 infant under the age of 24 months. Winter 1st November - 31st March 545 Euros - price includes 24/7 heating with 3 eco wall heaters and wood burning stove too. Logs are additional cost. Prices during April and October include pool heating.